Here is a piece I picked up at Forge World during a visit to GW headquarters back in 1999, right before Mordheim was released. This was before Forge World had made a name for themselves, they primarily made terrain and scenery bits at the time. 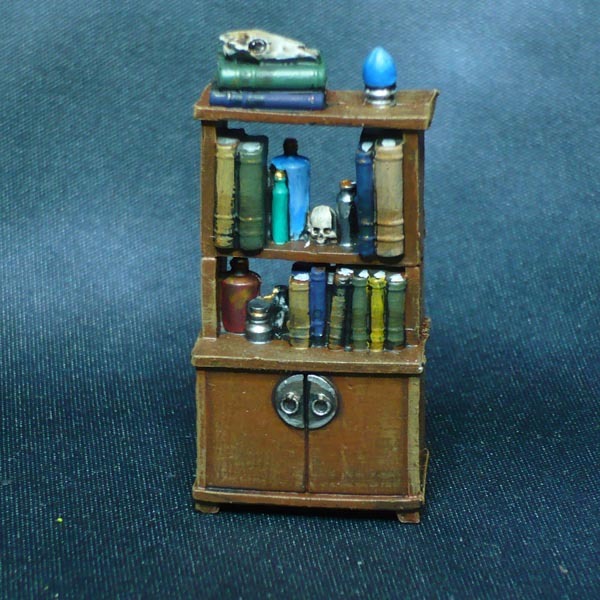 I remember buying this piece together with a graveyard thing (and an orc bust that I have no idea what has happened to since) which was all I could afford at the time, having already emptied out my wallet buying loose metal bits by the kilo from the mail order warehouse where I got to run around the shelves and pick my own bits! Woohoo! 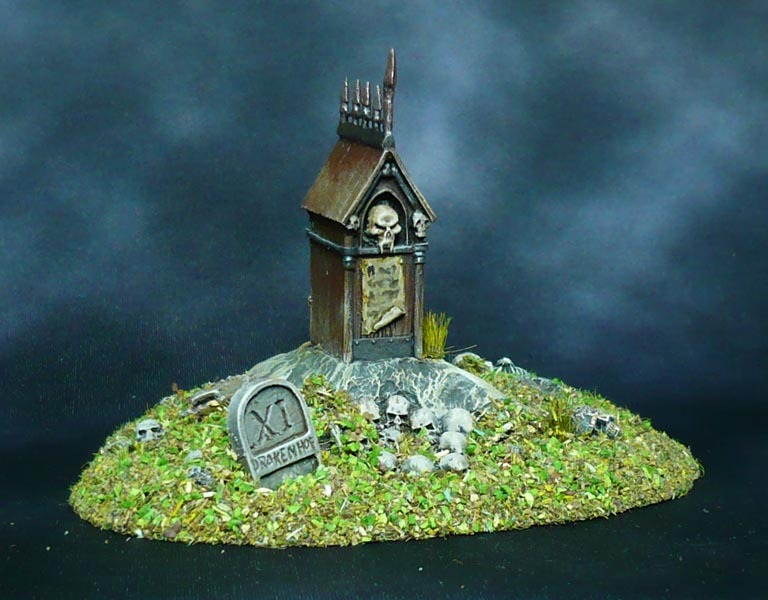 The Roadside Shrine by Forge World. Cast in resin. 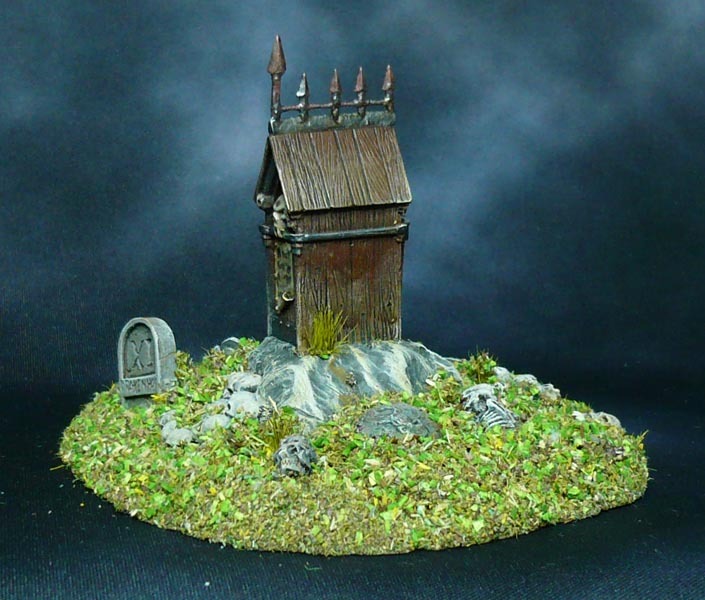 And for some reason this little outhouse thing never got painted. I rediscovered it in one of my basement boxes, one that I had not sorted through in a long time. Luckily the seperate spiky bit at the top had survived. The rest is a single casting. So now it can serve as cover. At least a little. 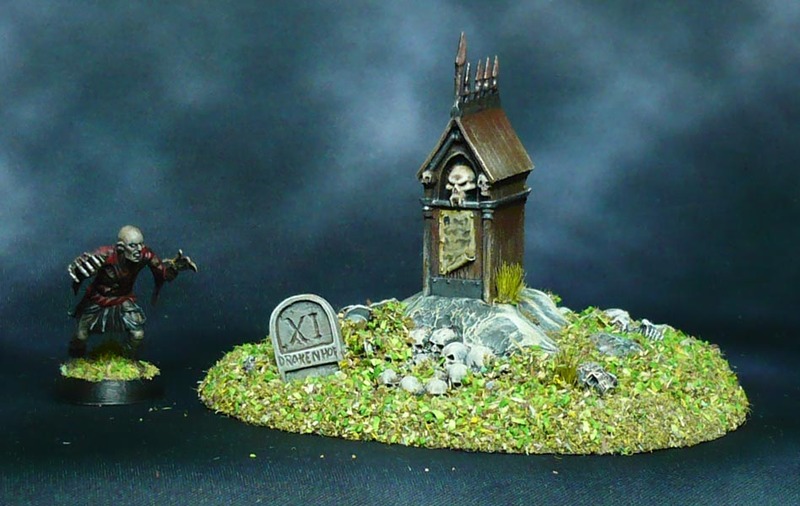 This one is one of the resin extra bonus pieces from the 2013 Oathsworn Miniatures: Heroes Kickstarter campaign and features an integral 30mm chamfered base. This one is also a resin extra bonus piece, but from the 2016 Heroines in Sensible Shoes 2 Kickstarter campaign and is 25mm in diameter. 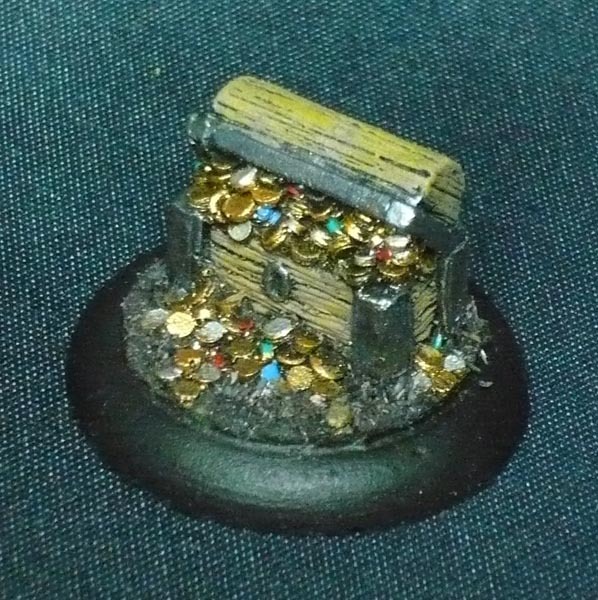 Just a tad too wide for me to put it on top of a 30mm chamfered base so it might match the first one and the bones treasure chest one I did some time ago. The bookshelf. It has books in it. and bottles, a tankard and a couple of skulls. and a snow globe or whatever that blue bit on the top is. 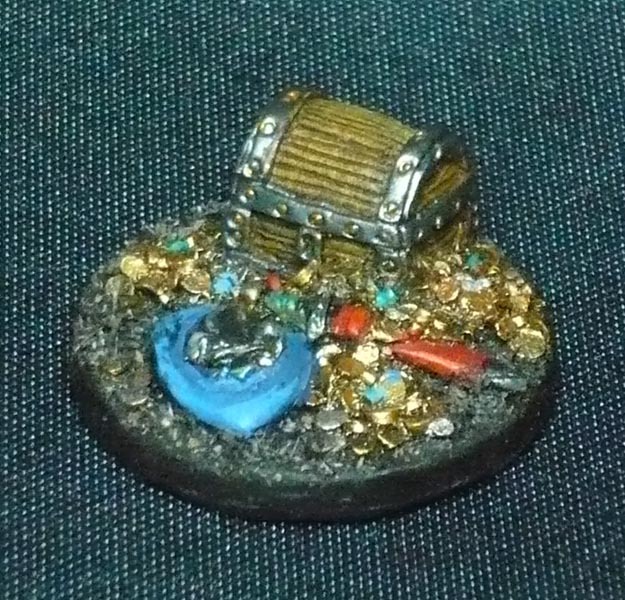 Painted miniatures so far this year: 287 / 365 -just 78 to go!